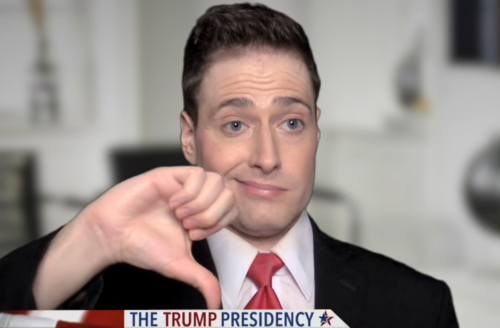 YouTube humorist Randy Rainbow “interviewed” Ivanka Trump about her unofficial position at the White House. He opened with a few jokes about Donald Trump’s need to be taken care of as if he were a baby, then he moved on to ask what exactly Ivanka’s role is in the White House. Towards the end, he gets Ivanka to agree that she’s “complicit” in the horrors of the Trump Administration. Samantha Bee also took on Ivanka’s loyalty to Donald Trump this week, reminding us all what we should have been doing if we wanted a progressive feminist in the White House.